Venwoude stands for the conscious development and practical application of one’s personal power and qualities, committed to and in tune with the greater whole that we are all part of. Through its great variety of retreats, trainings and workshops, Venwoude challenges you to tap into the greater potential within yourself and express it in your life. Venwoude also offers you a stimulating and supportive environment to develop your personal vision and put it to the test in daily practice. Ever evolving, Venwoude keeps in touch with many centers, initiatives, movements, teachers and other sources of inspiration. As inspiration for Venwoude and as connection to their foreign relations Venwoude offers workshops and retreats from international teachers. One very special partnership and cooperation is that between the Center for Integral Wisdom and Venwoude Integral Practice Community. Dr. Marc Gafni, the Director and Co-Founder of CIW acts as a teacher in residence at Venwoude. It was an unusual meeting of likewise hearts and minds, where we have forged a deep and shared vision on what may be able to unfold. Venwoude as an important emerging place in Holland and in Europe, where a profound integral consiousness is held and Dr. Marc Gafni holding a strong and passionate vision for Evolving a Global Ethic for a Global Civilization and a World Spirituality based on Integral principles. As part of this collaboration a new set of embodied trainings and teachings are being developed, which form the basis of the emergent World Spirituality and Integral Wisdom Practice. The practice combines deep study, meditation, prayer, the formation of Evolutionary We Space, somatic experiencing, chant, ecstatic practice, reality consideration and contemplation. Together the path of practical enlightenment is unfolded which engages and evolves the life worlds in all four quadrants. 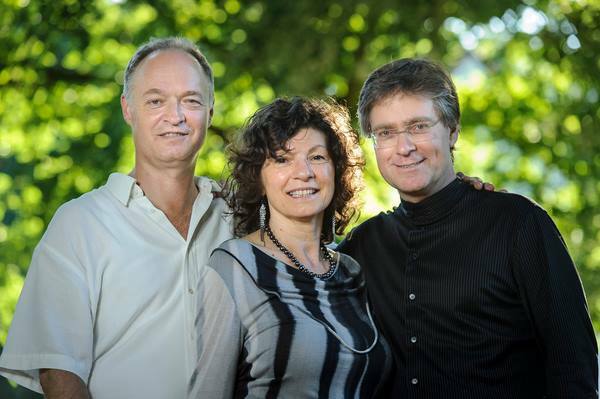 For more information on Marc Gafni’s programs at Venwoude that include live and skype teachings, retreats, workshops, and conferences, see here. Venwoude is a beautiful Retreat Center where people come together to participate and enjoy Workshops, Retreats or Trainings. It is a place to learn and exchange, to breathe and experience, to nourish and rest, to relax and meditate. Venwoude is situated on an estate of 40 acres. The beautiful nature and the dedication of the residents and employees have created an atmosphere which is beneficial for growth and transformation processes and for contemplation and deepening. Venwoude was started in 1988 as an experimental community of trainers and participants developing and practising Body work (Emotioneel Lichaamswerk) and Breathwork . Based on their passion for personal growth, cooperation and sharing, under the inspiring leadership of Ted Wilson, Venwoude has grown into a well-known centre for personal growth and reflection. For the past two decades, Venwoude has been translating this passion into new forms of cooperation and community life, based on a shared vision that is constantly evolving. Venwoude is currently run by a core group of 20-25 People. Many of them are also Board Members and/or supporters of CIW–and especially CIW Europe. Venwoude is the home of many CIW teaching events, including our Annual Mystery School of Love during the summer.